The 10 Best Milkshakes in North Dakota! From historic sandwich shops to down-home diners to ice cream parlors, North Dakota has some of the best milkshakes around. It doesn’t matter if you’re looking for a traditional, malt variety, or a unique flavor loaded with toppings, these spots have it all! Here are the 10 best places to grab a milkshake in the state. Kroll’s may be known for their “sit down and eat” commercials, but they are famous for their shakes. Available in a variety of flavor combinations, a shake from Kroll’s will ruin you for other ice cream forever. Pair it with a burger and you will wonder why it took you so long to visit. A Midwestern treasure for many years, Potbelly serves up a mean sandwich and an even meaner shake. With flavors ranging from the traditional (chocolate, mixed berry, strawberry) to the unique (coffee, Oreo, birthday), you are sure to find something to satisfy even the pickiest of palettes. Potbelly also serves a variety of soups and salads. One of the newest additions to the area’s restaurant scene, locally-owned Deaner’s specializes in mouth-watering food that won’t break the bank. In addition to a wide variety of breakfast and dinner meals, Deaner’s also makes one of the best shakes in town. Although the varieties are limited to chocolate, strawberry, caramel, and vanilla, the flavors are out of this world. Famous for their burgers and brews, Sickie’s is also home to delicious shakes. The ice cream goodness is available in a variety of flavors, including banana, butterscotch, and raspberry. It can be difficult to save room for dessert at a place like Sickie’s, but you will thank yourself for trying. Another place that is equally as famous for its milkshakes as for its food. Happy Joe’s has been serving up mouth-watering pizza and delicious ice cream for decades. Available in chocolate, vanilla, and strawberry, the shakes are so think you will rethink your use of straw. Happy Joe’s sundaes are also to-die-for. Home of this year’s “Best Hot Beef Sandwich in North Dakota” award, Charlie’s is also equally adept in the art of making milkshakes. Available in chocolate, strawberry, and vanilla, a Charlie’s shake is the perfect way to wash down one of its delectable sandwiches. A small and unassuming place that will quickly convince you that it is one of the state’s greatest hidden treasures. Whether you are interested in a quick dessert or a sit-down meal, you will be foolish to pass on one of Ohm’s milkshakes. Available in the traditional varieties, Ohm’s flavors are anything but ordinary. For over 53 years, Scotty’s has been satisfying diners of all ages with their delightful food and mind-numbingly delicious milkshakes. One of the only places in the state where you can get absurd food in an authentically retro atmosphere. One of the coolest places around. The last small-town creamery in the state, Pride Dairy has been consistently voted the best ice cream in the state by many organizations and publications. 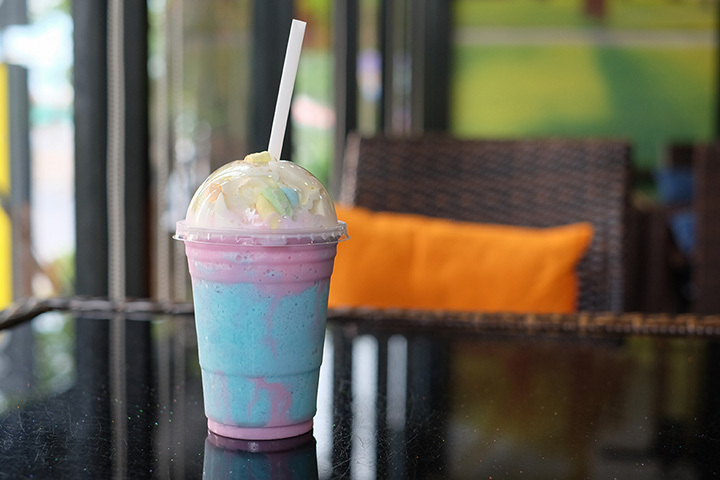 Their milkshakes are one-of-a-kind and come in a variety of flavors includes juneberry, rhubarb-strawberry, chocolate cherry cola, peanut butter, and chocolate marshmallow.